we are supplier of electric spary guns. 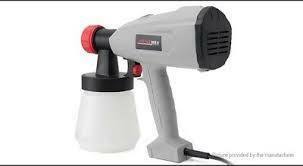 we have lareg variety of electric spray gun. We are a reputed wholesaler of a highly durable array of Spray Gun, Foundry Gun, Stain Removing Gun, Side Cup Gun, Pen Gun Air Brush, Sandblast Guns etc. These products are made by our vendors experts using optimum quality raw material and advanced technology in compliance with industry quality standards. Offered products are much admired among our clients owing to their qualitative attributes such as rugged design, high strength, low maintenance, smooth surface and durability.